Empire Steak House, the upscale Manhattan-based steakhouse that’s taken home praise from Zagat six years running, is making its way to Roppongi this fall. 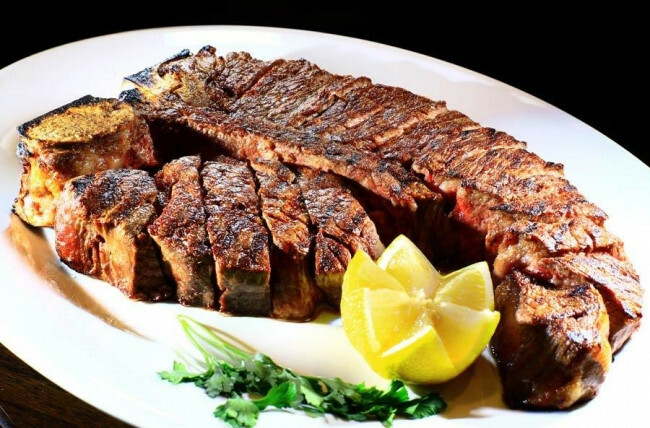 Empire Steak House was founded in 2010 by brothers Jack, Jeff and Russ Sinanaj, who spent over 25 years working at the legendary Peter Luger Steakhouse. The brothers’ new venture quickly won acclaim, especially among trend-setting, in-the-know Manhattanites – just the people the steakhouse is looking to attract at its Roppongi location. This fall, those visitors can look forward to USDA-certified prime Angus Beef, dry-aged for 21 to 28 days in an exclusive aging cooler before being cooked. Two of the restaurant’s specialties include its porterhouse, cooked in genuine New York style, and its Emperor Steak, recognized as the King of Steak even in New York. And it’s not just steak: fresh seafood and over 1,000 wines from around the world are also on offer. What’s more, Empire Steak House is also a feast for the eyes. The restaurant is decorated in the gorgeous style of 1920s New York and is equipped with a bar counter and both private and party rooms. Empire Steak House will be located on the first floor of Candeo Hotels Roppongi, itself set to open in fall 2017. Tokyoites with a hankering for genuine New York steak know where to head this fall.